Time Wanderer: Stories of those who came before...: Welcome to my blog! I grew up in a family that valued our family stories, but I didn’t start “seriously” researching my genealogy until early 2013. I was taking a military history course at the time, and rather than writing a traditional academic term paper, the prof gave us the option of writing a narrative based on a soldier’s life. I decided to write about one of my great-grand uncles that was at Vimy Ridge and as soon as I had my hands on his service record at the national archives (perks of living in the capital city!) and started looking up the family’s census records I was hooked! Since then, I have become increasingly passionate about discovering the stories in my family's history. I started this blog as a way to collect and publish these stories, and hopefully also find cousins along the way! My ancestry is primarily Scottish, Dutch, Norwegian, English, and Danish, with immigrant ancestors arriving in North America from the early 1600s to the 1930s. Some immigrated directly to Canada from Europe, and others spent some time (sometimes several generations!) in the United States before moving North. Some of the particular areas/topics that I have focused research on include: early Manitoba settlers, Outer Hebrides living and immigration, Dutch Mennonites, Canadian WWI soldiers, British mariners, and Loyalist immigration to Canada following the American Revolution. Reading your blog, I saw the Dutch surnames Ruiter, Zwier and Groot. Being Dutch myself, I was very much interested. I also have a blog with many genealogical subjects. One of my posts shows a survey of foreign genealogical blogs/sites showing Dutch origin surnames. The URL is http://www.patmcast.blogspot.com/2012/05/dutch-ancestors.html. The idea is to try and establish contacts between people who have an interest in the same surname. There are numerous cases in The Netherlands where people emigrated centuries ago without leaving a trace in Dutch archives. With my blog I try to bring Dutch and foreign (mainly US/CAN) genealogists together. 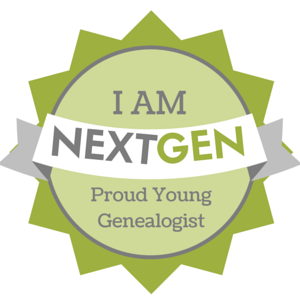 Genealogy Education: NGS's "The Basics"